Here is the guide you can follow to understand how to integrate Tenjin to App Samurai in order to create mobile ad campaigns. 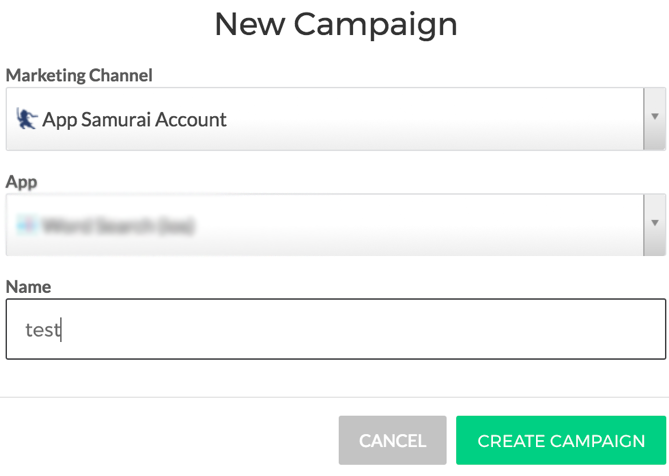 1 - Create "App Samurai" from Channels tab on Tenjin dashboard. 4) Make sure to activate the install callback in the same campaign page, before you start the campaign. This is one time set up for each app, so you don't have to do this every time when you create another campaigns. When you need it, your account manager who you will get in contact with, can send e-mail including daily campaign reports such as (showing spend, installs, clicks). In addition, please keep "success@appsamurai.com" in CC as well on your mailings and you can send all your campaign related requests to this e-mail address.